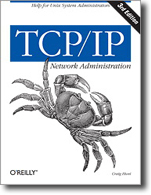 This complete guide to setting up and running a TCP/IP network is essential for network administrators, and invaluable for users of home systems that access the Internet. 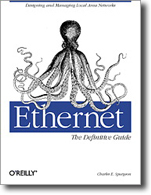 The book starts with the fundamentals — what protocols do and how they work, how addresses and routing are used to move data through the network, how to set up your network connection — and then covers, in detail, everything you need to know to exchange information via the Internet. 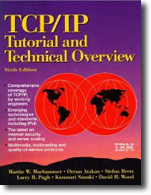 Included are discussions on advanced routing protocols (RIPv2, OSPF, and BGP) and the gated software package that implements them, a tutorial on configuring important network services — including DNS, Apache, sendmail, Samba, PPP, and DHCP — as well as expanded chapters on troubleshooting and security. TCP/IP Network Administration is also a command and syntax reference for important packages such as gated, pppd, named, dhcpd, and sendmail. This new edition includes ways of configuring Samba to provide file and print sharing on networks that integrate Unix and Windows, and a new chapter is dedicated to the important task of configuring the Apache web server. Coverage of network security now includes details on OpenSSH, stunnel, gpg, iptables, and the access control mechanism in xinetd. Plus, the book offers updated information about DNS, including details on BIND 8 and BIND 9, the role of classless IP addressing and network prefixes, and the changing role of registrars. Without a doubt, TCP/IP Network Administration, 3rd Edition is a must-have for all network administrators and anyone who deals with a network that transmits data over the Internet.